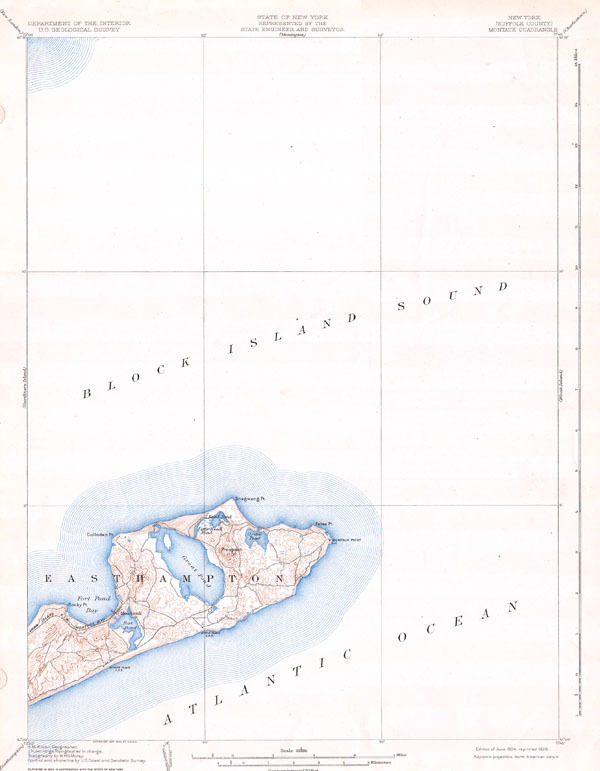 This beautiful and fascinating topographical chart depicts the Long Island, New York region of Montauk and Easthampton. Shows the beach communities of Montauk surrounding Fort Pond Bay, Rocky Point Culloden Pint, Prospect Hill, Oyster Pond Shagwong, and Great Pond.. Highly detailed with important buildings, and trains and rail lines. A rare and stunning geological survey of this highly affluent summer resort area - the Hamptons. From the 1926 reissue of the June 1904 charts.